Japanese tradition holds that wellness is achieved through an intuitive relationship with the universe. By living a thoughtful life, one can achieve nagomi: harmony, balance. At Nagomi Spa, indigenous healing traditions are infused with renowned international methods, providing spa experiences focused on holistic wellness of mind and body. 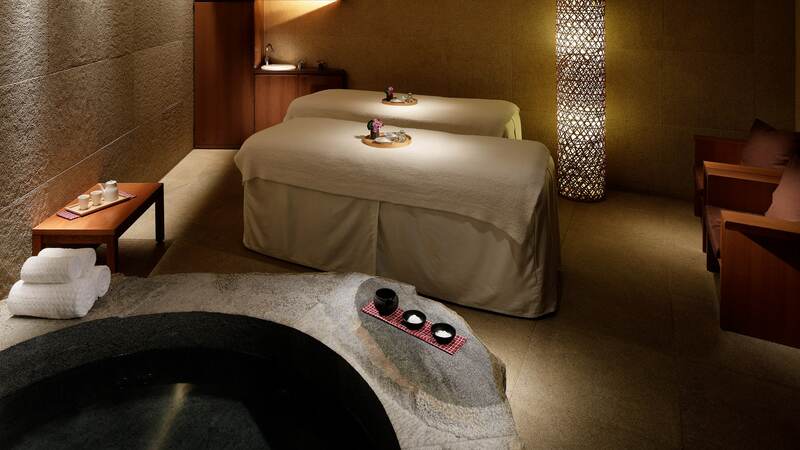 Spanning more than 1,300 sq metres, this calm oasis in the heart of the city features eight spa rooms, three with private showers, and one allencompassing suite, designed for two and featuring a Japanese granite stone soaking tub and a steam shower. Nagomi Spa is equipped with expansive hydrotherapy facilities, sauna, steam room, hot bath and cold plunge pools for the ultimate in relaxation. Rejuvenate with luxury skincare spa products from Kerstin Florian and Hommage, as well as a collection made exclusively for Nagomi, steeped in traditional Japanese ingredients. Guests will experience ultimate comfort and well-being as we guide them on their personal path to Nagomi.